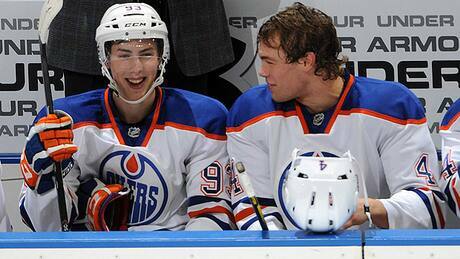 Tambellini: … and then I said, make sure you give Nikolai $3.6M over 4 years. Brilliant foresight! He’s been our MVP ever since. Renney: Hmm.. and they want to see ME get fired? Tambellini: Am I going to continue to ask myself rhetorical yes/no questions? ST: So I was trying to decide what hand was bigger this morning, when I hold them up like this. It’s going to take a while to assess this. Here’s a good pic for next time! Hahha I love that. And thanks for the caption pic! I generally only ever think about putting something up when some ridiculous pic comes along.